Make the grade in acing your bohemian side by layering lightweight lace pieces. (Try saying that three times). Your fashion extracurriculars? Stacking vintage rings like a Free People pro and acting out a lifelong role as a wanderlust traveler freely roaming the festival deserts. Stressing out during finals? Not likely. Your relaxed, go-with-the-flow personality is as natural as your color palette of earthy tones. Reach for a generous overdose of accouterments when it comes to accessorizing such as a basic fringe-braided suede knapsack and a cascading coin necklace to sprinkle movement while you travel to and from classrooms. Strengthen your fashion skills by opting for vibrant punches of color. Don't run away from flamboyant prints! Listen, we all know the ubiquitous neon shoe trend pervading the streets on and off the courts. So step up your game and dare to dabble in watercolor-effect jogger shorts and a breathable mesh detail windbreaker. Finish off your sartorial winning streak by clasping on a dainty, double-layered coin necklace with glimmers of sparkle to resemble your shining moments of attaining medals (and soon-to-be Olympic gold medals). After all, being MVP of the fashion game is another title to add to your never-ending list of wins. Pass the class in flying colors--of all shades pink, that is. Ditch the cinema cliché of cookie-cutter cheerleader or princess drama queen when it comes to your color of choice. Revamp pink's stereotype with frothy chiffon trousers and flower bouquet rimmed sunnies that are a nod to a saccharine sweet look. Your uniform of all things pink may be soft and princess-esque but your daring personality is anything but. Just call yourself a modern day Molly-Ringwald-slash-Elle-Woods. The quote "Only great minds can afford a simple style" is as black and white as your style. Ditch the fuss of over mixing pattern play with sleek and minimalistic bits and baubles. Take note: a demure jet-black lace bralette paired with a crisp white tee as a statement piece. We've all been victims of the tyrannical rule banning all cellphones in classrooms. Case in point: it may be hard to cunningly stash away your eye-catching grid-patterned case in Calculus class (pun intended). To elevate your modus operandi of style akin to normcore, experiment with a croc-embossed wallet or a buttery leather backpack to swiftly stash your art pencils and moleskine notebooks during those TGIF moments. This post is UHMAZING! It looks like it's straight out of a magazine! Love all the looks you chose! Wow these mood boards are really great - you've obviously spent a lot of time doing them - they look awesome! Hope you're having a great day, and we should meet up soon when you're back in LA! Oh my gosh, can you curate my life?! Love all of these so much. Need to mix and match everything from the femme and the classic section. Way to rock it per usual love. Happy weekend and your comment literally had my grinning from ear to ear. You are the best!! seriously love all your edits! each look looks amazing! great inspo! These sets look straight out of Teen Vogue! You're so talented. Teach me your ways! Great Post! Follow each other on GFC, Google+ and Bloglovin? If yes, follow me and i follow you back as soon as i see it ! Tell me with a comment on my Blog ! Kelly! I love these inspiration boards!!! 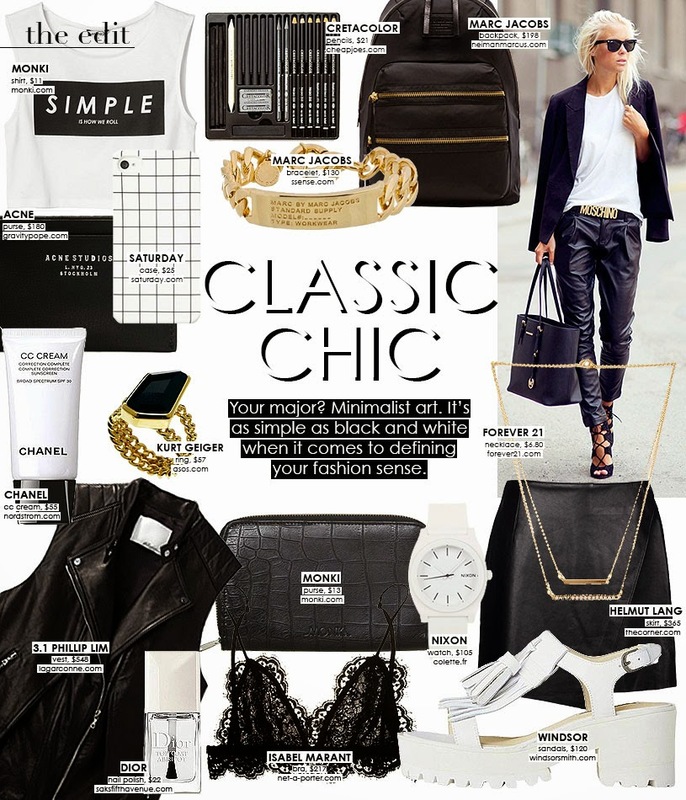 I think my style goes along the lines of Femme Fatalle and Classic chic! haha love how you put it together! your posts are always so inspiring and fun to read :) I've been a huge fan of your blog and then you stopped posting for like a month so I stopped checking... then I was looking at some trends and I saw a shirt that said "Creme de la creme" and I though of you and your blog! so I looked it up and realized I've been missing many of your beautiful posts! but don't worry I checked them all out :) I'm also following you on Instagram! I love all your pics, hope you can follow me back to stay in touch! I adore these different styles! So fun! The polka dot trousers from H&M in your Femme Fatale set is so fun! Oh wow! Everything looks incredible. I love the way you have pulled it all together! I love all of these different styles. Great inspirations, thank you for sharing! Love your collages! The 2d and 3d are my favorites! Wow fabulous fashion inspiration in this post Kelly! 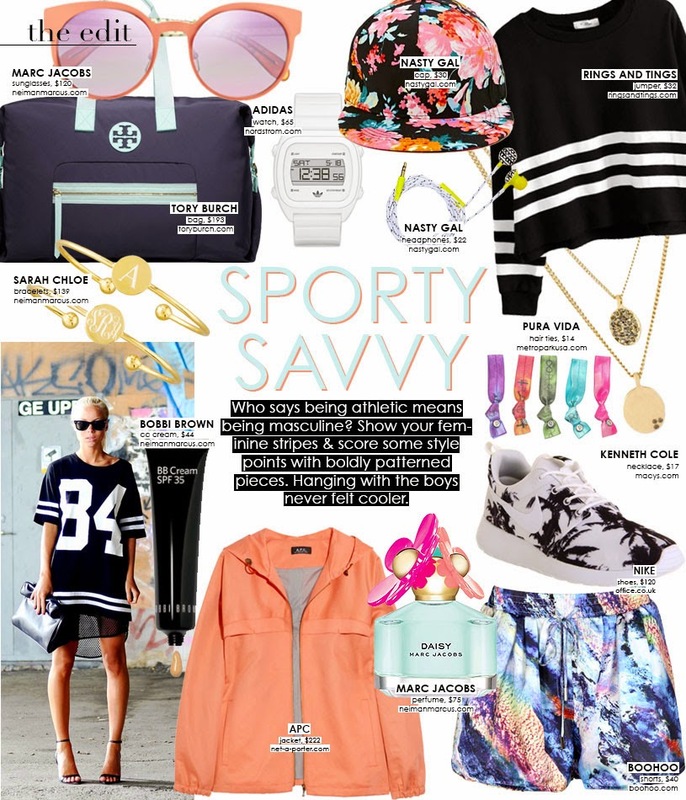 I am loving the Sport Savvy, Femme Fatale, and Classic Chic looks! While I usually go for bright prints and colours, I am trying to do more minimalist palettes these days to branch out from my usual-- hope I am successful! Loving all these picks, especially everything in the bohemian collage!